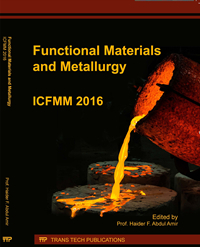 The 4th International Conference on Functional Materials and Metallurgy (ICFMM 2019) will be held in Osaka, Japan on November 27-30, 2019. 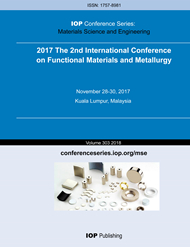 The objective of ICFMM is to provide a platform for researchers, engineers, academicians as well as industrial professionals from all over the world to present their research results and development activities in Functional Materials and Metallurgy. ICFMM has been held successfully in Shanghai (China), University of Malaya, Kuala Lumpur (Malaysia), and China University of Geosciences, Wuhan (China) in the last 3 years. We strongly believe that the 4th edition of the conference will achieve a greater success in the year of 2019. This conference provides opportunities for the delegates to exchange new ideas and application experiences face to face, to establish business or research relations and to find global partners for future collaboration. Submitted conference papers will be reviewed by technical committees of the Conference. For presentation only, please submit an abstract. When publication is concerned, full paper submission is compulsory. The webiste of ICFMM is updated. ICFMM 2019 will be held in Osaka, Japan on Nov.27-30, 2019. .